There is no charge for standard shipping on any orders over CAD 150 (a CAD 19.95 value). Standard shipping for orders under CAD 150 is CAD 19.95 // Express shipping for any order value is CAD 34.95. Unfortunately, we are unable to ship to P.O. boxes or APO addresses. 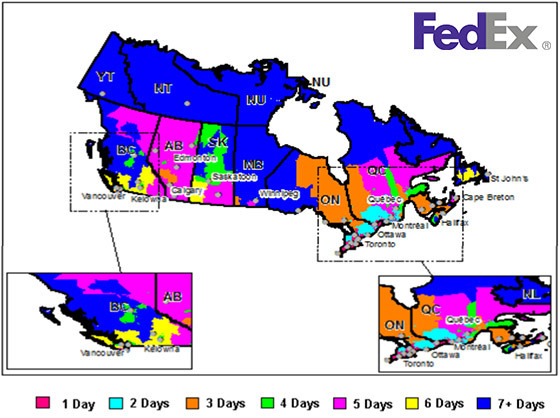 When express shipping is chosen, estimated transit/delivery time within Canada is 1 - 2 business days from the shipment date, when the office is open. Please note that a signature may be required at delivery; all orders are shipped via FedEx and will have a tracking number. Your order will be carefully packed in protective materials, and you will receive a shipping notification via email when your package is on it's way. Certain items may be temporarily unavailable, and could be up to 15 business days processing time. In this situation, you will be contacted and made aware of the delay. You will receive an email confirmation when you order ships from our facility. For any questions on the status of your order, please contact our customer service team at info@trollbeads-unitedstates.com. Already have a tracking number? Click here to track your package with FedEx. Adding beautiful gift wrap is complimentary for each order. Our gift wrap includes a Trollbeads logo black gift box tied with coordinating ribbon. It is our standard to wrap all items in your order together, however if you wish to have your items wrapped separately for multiple recipients, please contact our customer service team immediately after placing your order and they will be happy to assist. Please contact our customer service team for assistance with returns at info@trollbeads-unitedstates.com. Placing your order on this website is completely safe and secure. We offer secure payments processed through Adyen. We currently accept Visa, Mastercard, American Express, Discover, Diner's Club, and JCB credit cards, as well as Paypal. For your personal security, we do not store any customer credit card information and require the payment information be entered each time you place an order on the site. Any refunds due to you will be credited back to the same method of payment used during purchase. Items purchased are subject to a 2-year guarantee against defect and will be exchanged within this period of time. This means that you can return products which have faults or imperfections within one year from the date of purchase, given that these are not caused by improper use of the product.